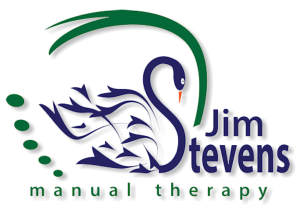 May 2016 If you’re interested in a little more about what I’m thinking when conducting manual therapy for you -- read on. This post describes types of tissues in your body and their function and how they relate to your health and pain you may be experiencing. If you have questions during your manual therapy, let me know. “A tissues importance depends on both its probable effects on other tissues and the systemic qualities of its anatomy.” This being stated we have laid out a hierarchy of tissues from most to least importance as it applies to freeing lesions within the body. It must be understood that that far more important than our intellectual understanding of these things, is our willingness to “always trust the tissues”. The tissues themselves have neither the ability nor the desire to mislead us, where our reason and logic often do. Our understanding leads us to believe that the majority of pain and immobility within the human body is, for the most part, the body protecting itself. In other words, “pain should be viewed as a protective ideal or as a defense mechanism.“ Some tissues receive more protection than others do, based on what we refer to as the “Reflexogenic effect”. The Reflexogenic effect states that the body will shut down any movement pattern that has the potential to further damage or inflame the protected tissues. As an example a nerve cell has limited regenerative ability, therefore it must remain functioning for an entire lifetime. The body will create immobility in order to prevent further damage to the neural tissues. From this thinking comes the theory of the ‘Hierarchy of Tissues’. Stating, “Any tissues that are of greater importance to the body’s survival, will be protected by the tissues of a lesser importance“. All chronic pain is caused by a reduction of blood flow. This blood supply may be limited to the activated pain receptor nerve, or to the surrounding tissues, causing localized dehydration and inflammation. It is for this reason we agree with the Osteopathic principle that “The artery is supreme.” Artery / Vein: Blood flow is paramount to all cells, as all tissues rely on the oxygen, nutrients, and waste removal carried out by the cardio-vascular system. An artery may be compressed, impinged, or stressed. When an artery is stressed, the smooth muscle contracts, thereby decreasing the diameter of the artery. Any lesions within or near the artery will therefore cause reduction in blood flow to all points distally along the arterial pathway, thereby affecting any tissues present. The veins, while of less importance can also be compressed causing a reverse pressure into the capillary beds, arterial, and lymphatic systems. This causes a reduction in blood supply, by creating congestion. Nervous Tissue, Cerebral Spinal Fluid, Nerves (spinal and cranial) and Brain: Neural response is a necessary function for nearly every cell in the body. The nerve cells, though well protected in their adipose and connective tissue sheathes, are easily entrapped at the point they enter or exit another tissue. This restriction causes budding (rupture), and inflammation, thereby preventing the nerve from moving and protecting the nerve from further damage. The importance of the nervous tissue cannot be understated. These tissues are highly protected by what we call the “Reflexogenic effect“. The brain and spinal cord tissues are also susceptible to inflammation and adhesions, either to the surrounding Mata, or within the brain itself. When these lesions occur, they limit the CFS from fully nourishing the tissue thereby depleting its functionality. Ligament / Suspensory ligament: Ligaments are generally identified as a thick connective tissue that holds bone to bone at the joints or bony articulations. In the case of an injury to these ligaments, there is obvious compensation throughout the body to aid in avoiding pain and further damage to the injured tissues. We almost consciously change our gait, or use a different arm in order to protect and prevent further damage. A suspensory ligament by contrast is any thickening of the connective tissue membrane that attaches and holds any organ to another tissue or organ; they are most common in the viscera of the internal organs. Any tissue that connects one tissue to another or creates a tunnel (i.e. a retinaculum) through which a vessel or tendon moves should be considered a ligament. Fascia: We view the fascia as one continuous whole and is connected to and part of all other tissues. Any lesion within the facial matrix must therefore effect all surrounding tissues as well as the tissues along its lesional chain, specifically those portions of the fascial sheaths that share fibers. Lymphatic: The passive portion of the circulatory system may be viewed as important as the blood vessels themselves. Its systemic nature and its presence within every organ and nearly every tissue, creates a vulnerability in which the smallest of lesions or pathology can cause disruption anywhere in the body. Sphincters and Valves: Sphincters are the valves within or conjoining to the alimentary canal. Just one sphincter working incorrectly can cause dysfunction within the entire digestive system. It can affect the internal pressures in both the abdomen and thorax, thereby creating lesions disrupting movement patterns throughout the body. Please do not underestimate the importance of these sphincters, it has been stated that these sphincters should be the first area of evaluation, or in the case of time restraints, the only treatment. Similarly, if the valves of the heart are strained they cannot function optimally, thus influencing the vast majority of the body’s functions. Viscera (Organ systems): Internal organs, designed to glide across one another and to move in easy patterns that aids in their function. When organs are immobilized completely or in part due to lesions or adhesions, the biomechanical and physiological effects are staggering. The abdominal peritoneum has almost no value to modern medicine. We feel the peritoneum should be considered as, and treated as an organ unto itself. Although it does not so much have “a” function as an organ, lesions within the peritoneum often have a negative biomechanical affect on abdominal and thoracic organs, as well as abdominal, thoracic, and cranial vasculature. Periosteum: As the interface between bone and soft tissue, any lesion within the periosteum will affect all interfaces directly related to the bone. Conversely, any soft tissue lesion must reflect into the periosteum. As the surrounding connective tissue of the bone, any neural or vascular lesion occurring within the interface of the bone itself will most likely be at this level. Bone: Bones are a great holder of trauma. When applied force, through injury or accident is driven into the bony matrix, trauma results. The effected portion of the bone becomes hard and inflexible. This inflexibility reduces the bones ability to absorb shock, thereby increasing the possibility of fracture, torn ligaments, or injury elsewhere in the body. Tendon: A tendon is essentially the entire connective tissue of a particular muscle coming into one cumulative whole as it connects to the periosteum of the bone. Therefore, we consider working with this portion of the soft tissue to be more effective than working within the muscle itself. Muscle: Muscles are seldom the root cause of tension within the body, except for cases of overuse as in the case of exercise and fatigue. Few muscles can have any “great affect” on the surrounding tissues. The two most well known muscles of this variety are the subclavius and the illio-psoas. However it is our belief that muscle pain, discomfort, and even injury is due to a cause outside of the muscle itself. For this reason, we consider muscles to be of less importance than the other tissues. Releasing or softening muscles does give the body momentary relief, there is no doubt. The relief is often short lived, because the root cause or lesion that the tight muscles were protecting has not yet been addressed. Adipose: Adipose is more commonly known as fat. Although this tissue can cold lesions, (i.e. cellulite) lesions within this tissue are generally isolated and do not have much if ant affect on neighboring tissues. Healthy adipose is soft and pliable, which allows it to move well even with lesions. “A tissues importance depends on both its probable effects on other tissues and the systemic qualities of its anatomy.” This being stated we have laid out a hierarchy of tissues from most to least importance as it applies to freeing lesions within the body. It must be understood that that far more important than our intellectual understanding of these things, is our willingness to “always trust the tissues”. The tissues themselves have neither the ability nor the desire to mislead us, where our reason and logic often do. Our understanding leads us to believe that the majority of pain and immobility within the human body is, for the most part, the body protecting itself. In other words, “pain should be viewed as a protective ideal or as a defense mechanism.“ Some tissues receive more protection than others do, based on what we refer to as the “Reflexogenic effect”. The Reflexogenic effect states that the body will shut down any movement pattern that has the potential to further damage or inflame the protected tissues. As an example a nerve cell has limited regenerative ability, therefore it must remain functioning for an entire lifetime. The body will create immobility in order to prevent further damage to the neural tissues. From this thinking comes the theory of the ‘Hierarchy of Tissues’. Stating, “Any tissues that are of greater importance to the body’s survival, will be protected by the tissues of a lesser importance“. All chronic pain is caused by a reduction of blood flow. This blood supply may be limited to the activated pain receptor nerve, or to the surrounding tissues, causing localized dehydration and inflammation. It is for this reason we agree with the Osteopathic principle that “The artery is supreme.” Artery / Vein: Blood flow is paramount to all cells, as all tissues rely on the oxygen, nutrients, and waste removal carried out by the cardio- vascular system. An artery may be compressed, impinged, or stressed. When an artery is stressed, the smooth muscle contracts, thereby decreasing the diameter of the artery. Any lesions within or near the artery will therefore cause reduction in blood flow to all points distally along the arterial pathway, thereby affecting any tissues present. The veins, while of less importance can also be compressed causing a reverse pressure into the capillary beds, arterial, and lymphatic systems. This causes a reduction in blood supply, by creating congestion. Nervous Tissue, Cerebral Spinal Fluid, Nerves (spinal and cranial) and Brain: Neural response is a necessary function for nearly every cell in the body. The nerve cells, though well protected in their adipose and connective tissue sheathes, are easily entrapped at the point they enter or exit another tissue. This restriction causes budding (rupture), and inflammation, thereby preventing the nerve from moving and protecting the nerve from further damage. The importance of the nervous tissue cannot be understated. These tissues are highly protected by what we call the “Reflexogenic effect“. The brain and spinal cord tissues are also susceptible to inflammation and adhesions, either to the surrounding Mata, or within the brain itself. When these lesions occur, they limit the CFS from fully nourishing the tissue thereby depleting its functionality. Ligament / Suspensory ligament: Ligaments are generally identified as a thick connective tissue that holds bone to bone at the joints or bony articulations. In the case of an injury to these ligaments, there is obvious compensation throughout the body to aid in avoiding pain and further damage to the injured tissues. We almost consciously change our gait, or use a different arm in order to protect and prevent further damage. A suspensory ligament by contrast is any thickening of the connective tissue membrane that attaches and holds any organ to another tissue or organ; they are most common in the viscera of the internal organs. Any tissue that connects one tissue to another or creates a tunnel (i.e. a retinaculum) through which a vessel or tendon moves should be considered a ligament. Fascia: We view the fascia as one continuous whole and is connected to and part of all other tissues. Any lesion within the facial matrix must therefore effect all surrounding tissues as well as the tissues along its lesional chain, specifically those portions of the fascial sheaths that share fibers. Lymphatic: The passive portion of the circulatory system may be viewed as important as the blood vessels themselves. Its systemic nature and its presence within every organ and nearly every tissue, creates a vulnerability in which the smallest of lesions or pathology can cause disruption anywhere in the body. Sphincters and Valves: Sphincters are the valves within or conjoining to the alimentary canal. Just one sphincter working incorrectly can cause dysfunction within the entire digestive system. It can affect the internal pressures in both the abdomen and thorax, thereby creating lesions disrupting movement patterns throughout the body. Please do not underestimate the importance of these sphincters, it has been stated that these sphincters should be the first area of evaluation, or in the case of time restraints, the only treatment. Similarly, if the valves of the heart are strained they cannot function optimally, thus influencing the vast majority of the body’s functions. Viscera (Organ systems): Internal organs, designed to glide across one another and to move in easy patterns that aids in their function. When organs are immobilized completely or in part due to lesions or adhesions, the biomechanical and physiological effects are staggering. The abdominal peritoneum has almost no value to modern medicine. We feel the peritoneum should be considered as, and treated as an organ unto itself. Although it does not so much have “a” function as an organ, lesions within the peritoneum often have a negative biomechanical affect on abdominal and thoracic organs, as well as abdominal, thoracic, and cranial vasculature. Periosteum: As the interface between bone and soft tissue, any lesion within the periosteum will affect all interfaces directly related to the bone. Conversely, any soft tissue lesion must reflect into the periosteum. As the surrounding connective tissue of the bone, any neural or vascular lesion occurring within the interface of the bone itself will most likely be at this level. Bone: Bones are a great holder of trauma. When applied force, through injury or accident is driven into the bony matrix, trauma results. The effected portion of the bone becomes hard and inflexible. This inflexibility reduces the bones ability to absorb shock, thereby increasing the possibility of fracture, torn ligaments, or injury elsewhere in the body. Tendon: A tendon is essentially the entire connective tissue of a particular muscle coming into one cumulative whole as it connects to the periosteum of the bone. Therefore, we consider working with this portion of the soft tissue to be more effective than working within the muscle itself. Muscle: Muscles are seldom the root cause of tension within the body, except for cases of overuse as in the case of exercise and fatigue. Few muscles can have any “great affect” on the surrounding tissues. The two most well known muscles of this variety are the subclavius and the illio-psoas. However it is our belief that muscle pain, discomfort, and even injury is due to a cause outside of the muscle itself. For this reason, we consider muscles to be of less importance than the other tissues. Releasing or softening muscles does give the body momentary relief, there is no doubt. The relief is often short lived, because the root cause or lesion that the tight muscles were protecting has not yet been addressed. Adipose: Adipose is more commonly known as fat. Although this tissue can cold lesions, (i.e. cellulite) lesions within this tissue are generally isolated and do not have much if ant affect on neighboring tissues. Healthy adipose is soft and pliable, which allows it to move well even with lesions.